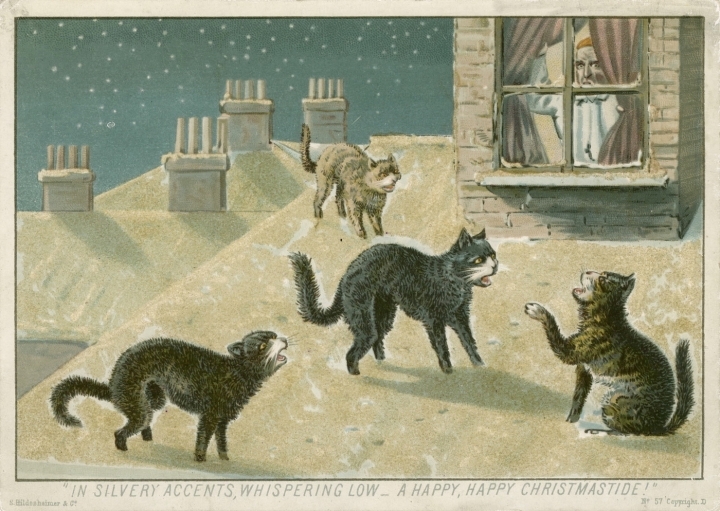 My end of the year vintage Victorian Christmas Card roundup- just to start things off I will say this- if these are examples of Christmas cards, I can only wonder why their Halloween greetings were so tame! 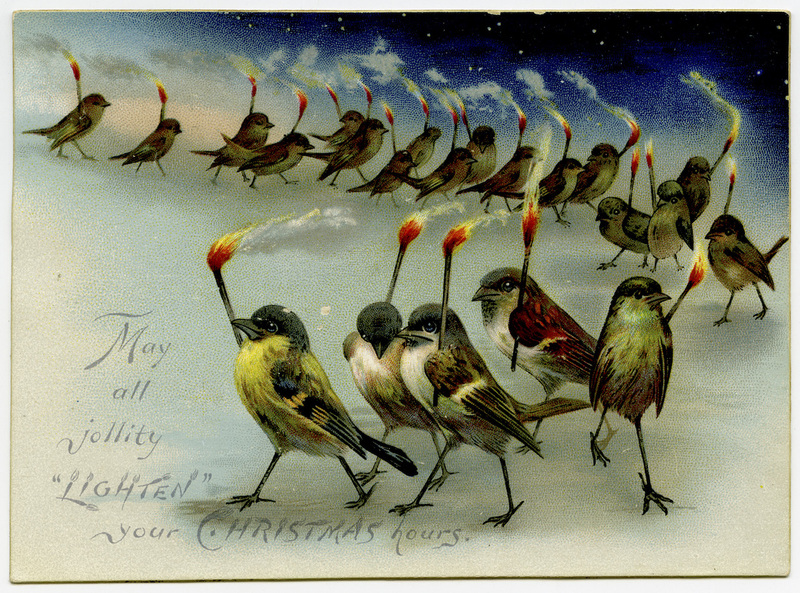 This is a Victorian Christmas Card. It’s odd, slightly macabre and I kind of feel sorry for the guy in the picture because I don’t think this scene is playing out in his favor. In addition I’m not sure if this is a Christmas greeting or a warning but I am certain that you could use it as a Halloween card too. 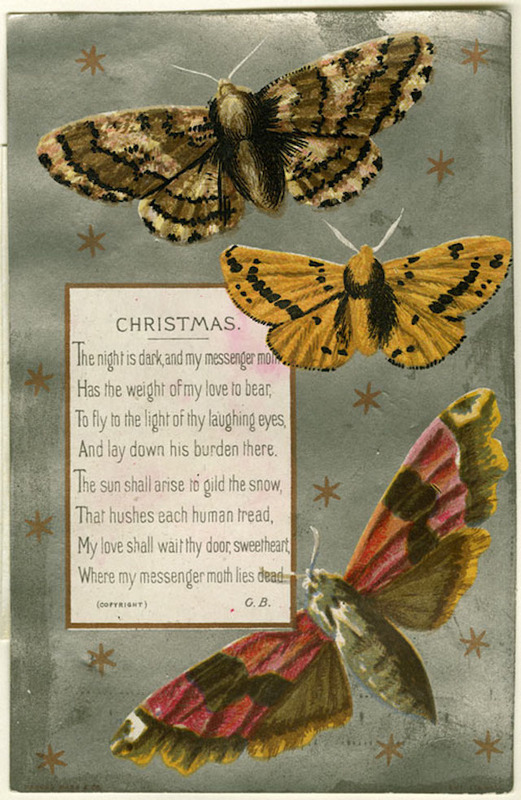 So, the person sending this card is saying that they’re sending moths to fly into your eyes and that they will die trying and that in the morning they’ll find you all there- enveloped in blood, moths wings and the sender’s ever lasting love. I’m sure this is the kind of card that Dr. Phibes would send, at any rate I know I would. So there’s a few happy greetings to contemplate as we go into 2019- like we can contemplate where to order these babies for ourselves, am I right? 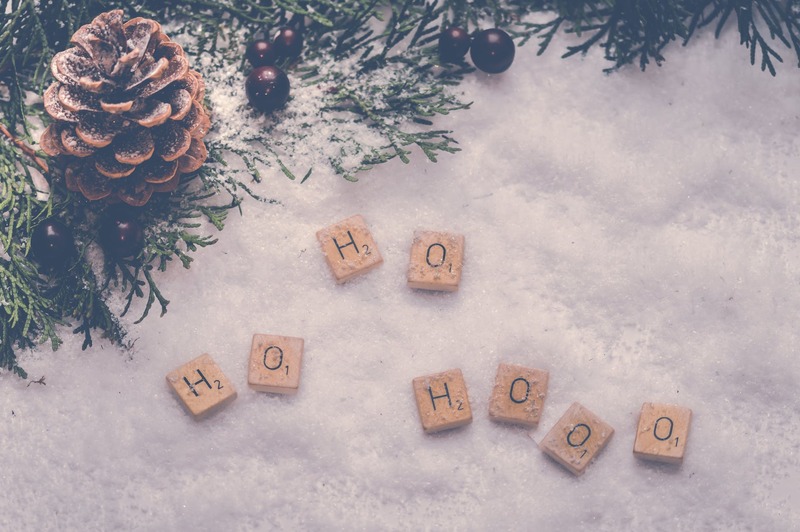 Anyhoo, have a cool yule guys!